(Macao, Nov. 4, 2018) – A group of around 110 Sands Cares Ambassadors manned a game booth Saturday and Sunday for the 49th Caritas Macau Charity Bazaar at Nam Van Lake Nautical Centre. It is Sands China’s eighth year in a row to help raise funds at the annual charity event. 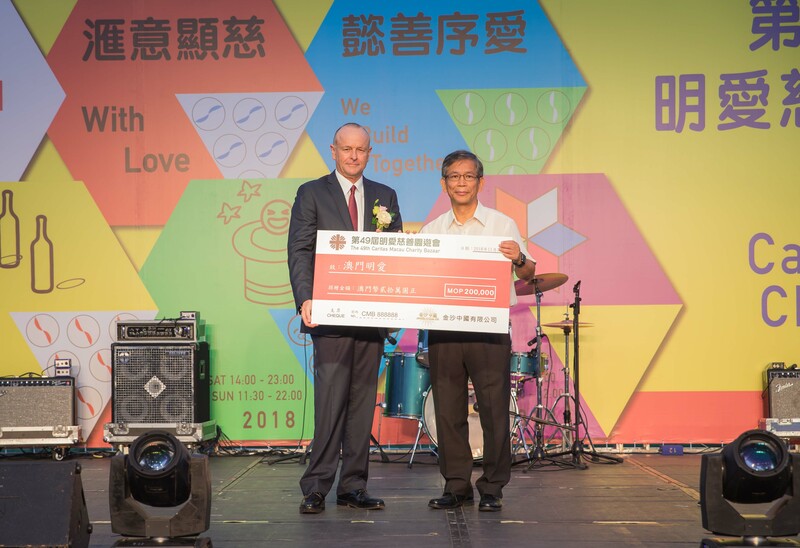 At the bazaar’s opening ceremony, Mark McWhinnie, Sands China’s senior vice president of resort operations and development, presented a MOP 200,000 ceremonial cheque to Caritas Macau Secretary-General Paul Pun Chi Meng. Through events such as charity runs and bazaars, Sands China has contributed more than MOP 4.5 million to the non-profit since 2004. 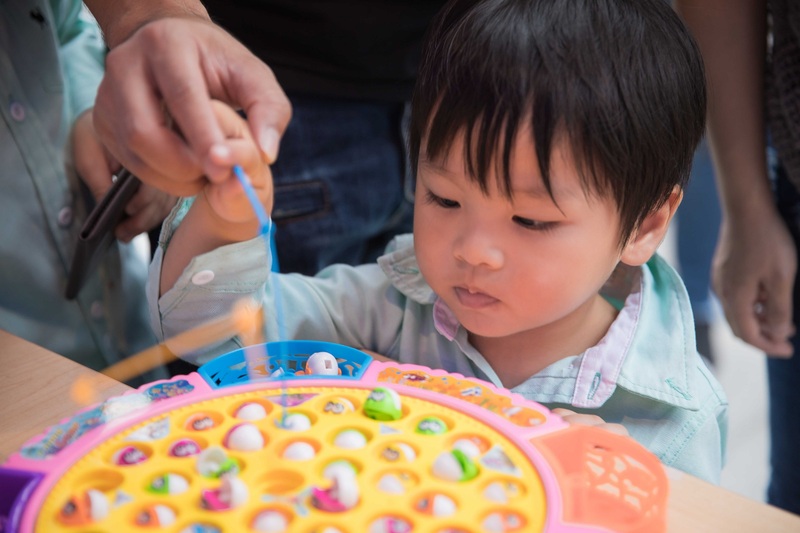 The funds help support Caritas Macau’s operational expenses and its efforts to develop and implement social services in the community. Around 110 Sands Cares Ambassadors in total volunteered during the weekend charity bazaar to run Sands China’s game booth. 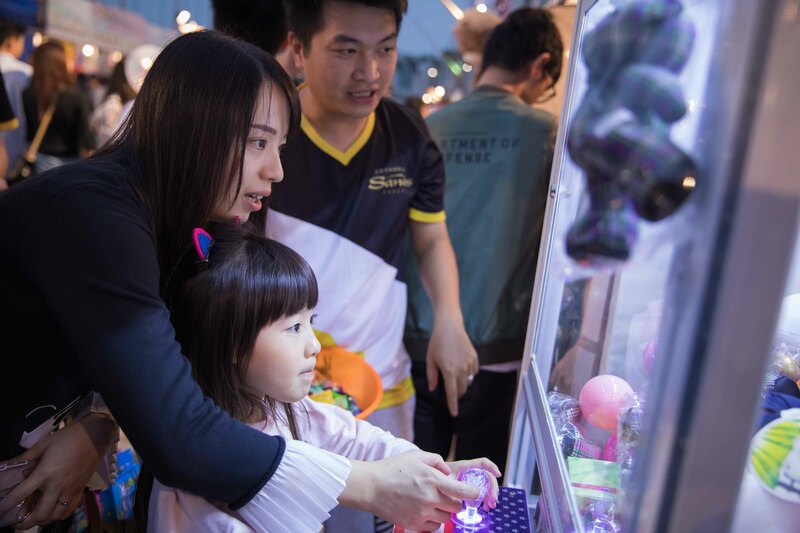 Visitors to the booth won prizes like hotel stays at The Parisian Macao and tickets to its Eiffel Tower; first-class ferry tickets on Cotai Water Jet; and Sands Resorts Macao food and beverage vouchers, theatre tickets and Qube kids’ play zone tickets. 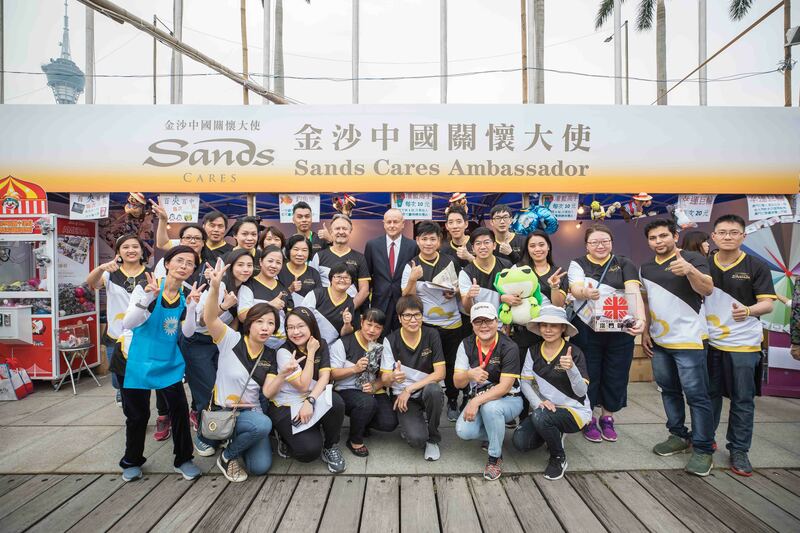 As it does each year, Sands China is donating all proceeds from the booths – without deducting costs – to Caritas Macau. The donation helps Caritas offer relief and rehabilitation services and support to disadvantaged groups in Macao. Sands China’s charity efforts are part of Sands Cares, the global corporate citizenship program of parent company Las Vegas Sands Corp.
Photo caption: Mark McWhinnie (left), senior vice president of resort operations and development for Sands China Ltd., presents a MOP 200,000 cheque to Caritas Macau Secretary-General Paul Pun Chi Meng at the opening ceremony of the 49th Caritas Macau Charity Bazaar Saturday at Nam Van Lake Nautical Centre. Photo caption: Mark McWhinnie, Sands China’s senior vice president of resort operations and development, visits Sands Cares Ambassadors at their game booth at the 49th Caritas Macau Charity Bazaar Saturday at Nam Van Lake Nautical Centre. 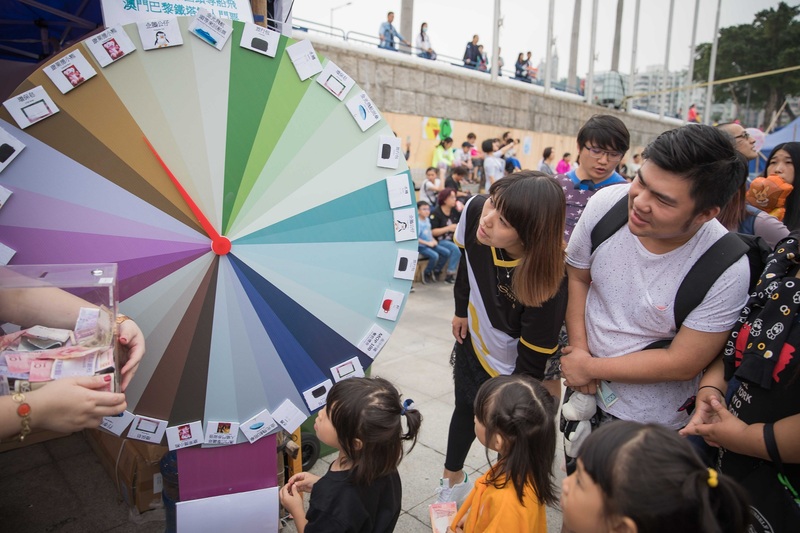 Photo caption: Attendees of the 49th Caritas Macau Charity Bazaar visit the game booth run by the Sands Cares Ambassadors Saturday at Nam Van Lake Nautical Centre.